I am sticking by that and so I think the Nikon is a good idea. Time will tell. My fear is that the higher ups at Nikon won't let the 1 compete with the DSLRs. They can't afford to let people thing that the larger format is being replaced. 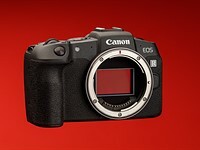 Currently I am waiting to see what this OM camera is all about and then the GH3. If they let me down, then maybe I'll switch to Nikon. Maybe by then they will have a better sensor and better lenses.